Economic Development in towns and cities offers a great environment to introduce diversity objectives. Where there are key, strategic developments, there are significant opportunities for the developing organisations and new businesses to utilise the skills and talents of the local working community. Such an approach not only provides access to the skills required, but it also acts to engage the local community with the new business. Economic integration is a key factor to a successful working relationship between the new business and the local demographic. 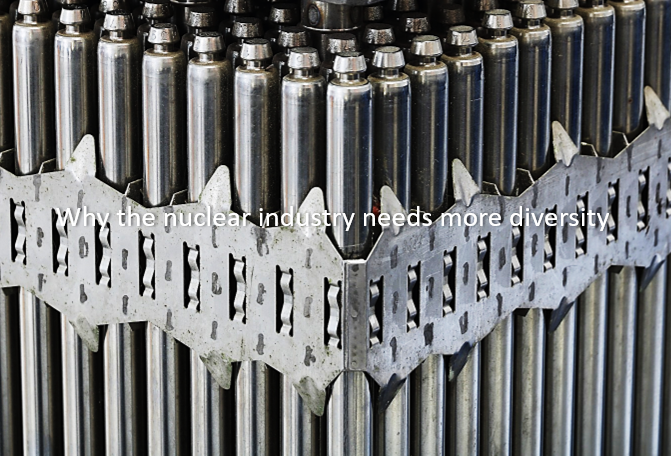 The Age Diversity Forum and its Prime Candidate Division is committed to playing a leading role within the business community across all sectors; private and public enterprise, education, government and local authorities, by promoting age diversity and the merits of a multi-generational workforce. Prime Candidate is now working in the UK, with North Somerset regional authority, to promote and showcase the values of age diversity in the workplace. 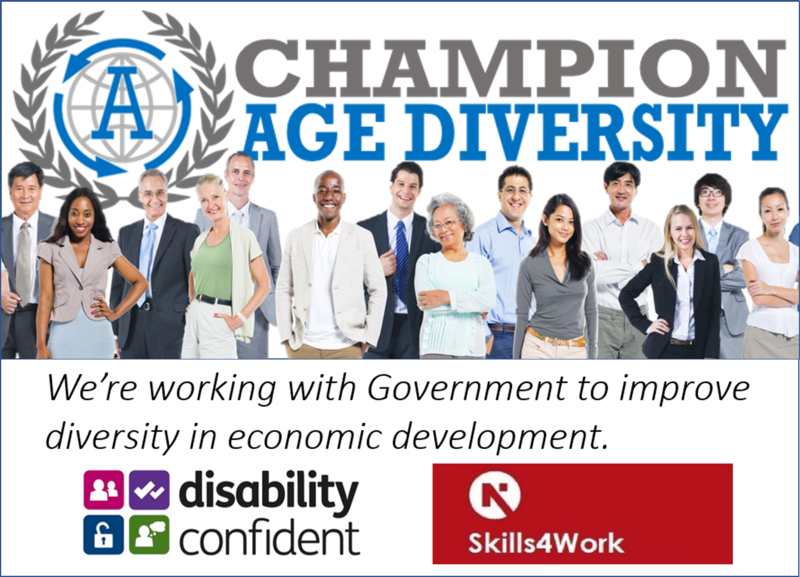 Working within the Skills4Work initiative, the ‘Champion Age Diversity’ mark is aligned with the UK Government’s ‘Disability Confident’ programme, as standards to be met by new economic development in the region. Employers who are establishing their brands, products and services in a new region, will be able to benefit from access to local resources, that can provide required skills and experience, as well as support a successful integration to the local community. And the timing is right, to become a ‘Champion’. The release of the Evidence Base 2017 report for age diversity, from the UK Government’s Department for Work and Pensions (DWP), Fuller Working Lives team, shows, and calls for, action from employers. The report continues a focus on providing equal opportunities to retain, re-train and recruit, across an age diverse workforce, and ‘Champion Age Diversity’ is being recognised as the vehicle to demonstrate the criteria and behaviours required of a compliant organisation. 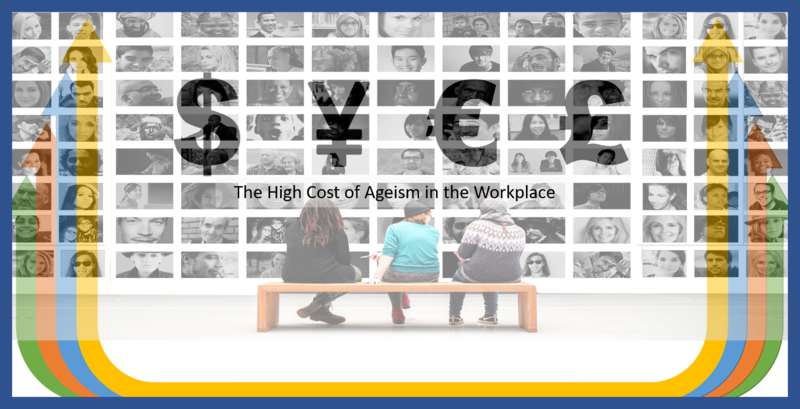 Executive Summary – Impact of Fuller Working Lives on Employers – The attitudes and policies of employers towards older workers are key to the lived experience at work and well-being of older workers. Over three quarters of employers believed that the experience of workers over 50 was the main benefit of having them in their organisation. 65 per cent highlighted the reliability of older workers. Nearly a third said workers over 50 were easier to manage than younger workers (54 per cent said they were equally easy to manage). 54 per cent value the role that older workers play as mentors. 87 per cent of employers reject the idea that the skills of older workers are unsuitable for their business. However, recent DWP qualitative research with employers has highlighted the scale of the challenge. While employers stated that they valued a mixed age workforce and were aware in general of an ageing population, few were taking active steps to change their policies and practices regarding the recruitment, retention and training of older workers. As you can see, the benefits are there to be recognised, but more employer engagement is required.